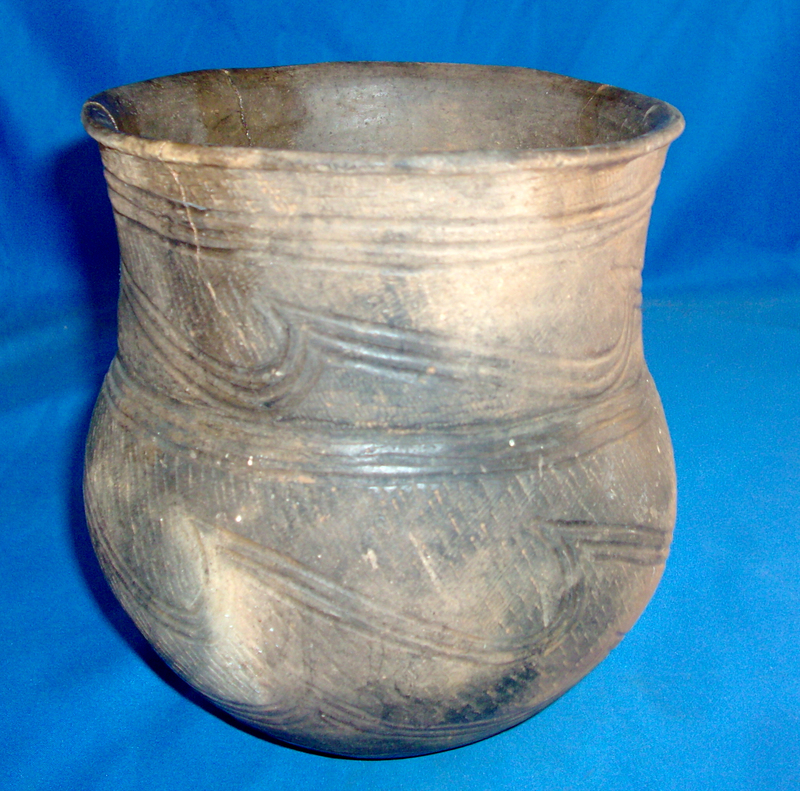 A Large Size, Thin, Artistic Decorated, Very Well Made, Caddo Incised Jar That Exhibits Surface Sheen And Clay Coloration Patination, Aged Bottom Use Wear, Aged Surface Grog Deterioration Voids, Aged Deposits In The Incising, Correct Material And Manufacture For The Area Found. Ex-Samuel D. Dickinson, (V-303 ) Scott Davidson And Jack Bonds Collections. This Type Is Possibly Related To The Foster-Trailed And Cowhide Stamped Caddo Jars. This Is A ice Example, Solid With Cracks. Ex-Kevin Pipes Collection. This Is An Excellent, Rare Example, Displaying Good Workmanship, In Good Condition! Includes a Ken Partain Certificate of Authenticity!